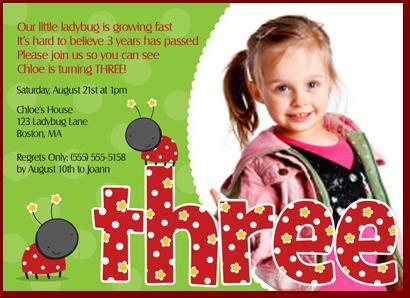 Make your kid’s 3rd birthday extra special by throwing him/her a special birthday party celebration. 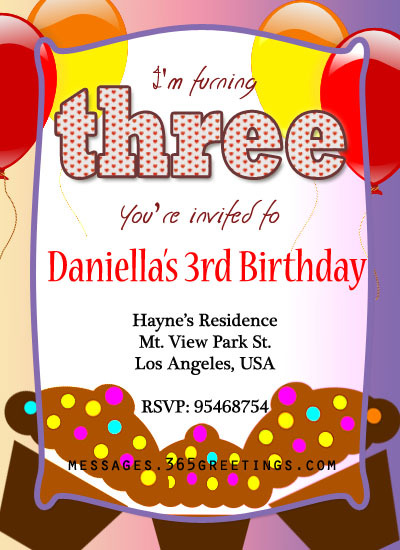 Here are 3rd birthday invitation wording that will make sure that his/her friend will come over. Of course, celebration will be more fun if we have friends and loved ones around. 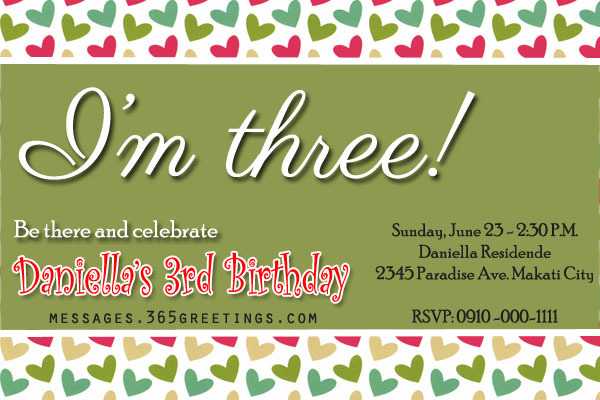 For content, we’re here to provide you some humorous and funny 3rd birthday party invitation wording that you can use for your invites. 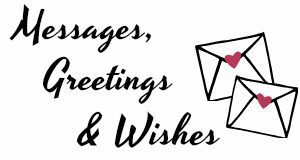 There are also some short and simple birthday invitation wording that you can include to your party invitation for your little one. 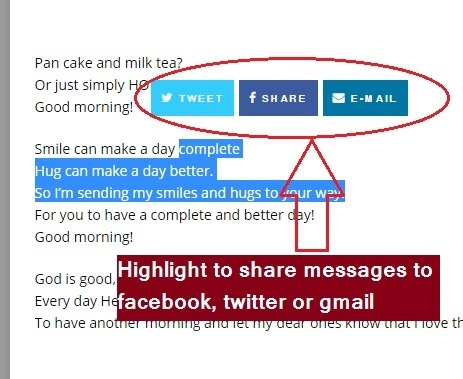 We’ve included some of the wording samples where you can fill the blanks with your little angel’s name. 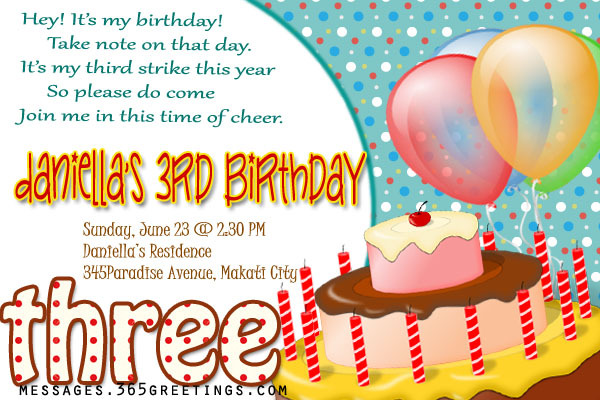 We hope that these samples of wording for 3rd birthday invitation may be of help to you. Our mommies are best friends, and so are we. So you need to join my birthday party! Come and let’s have fun! Our little muffin is celebrating her 3rd birthday. We have cakes and drinks, and games and fun. Our little puppet is turning THREE! 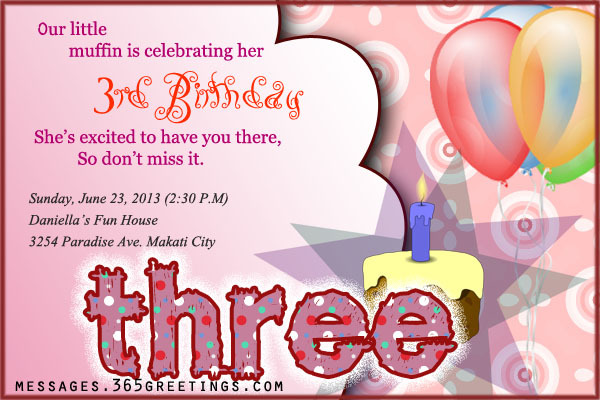 Join us for her birthday party. You won’t regret it, it’s a guarantee. drinks and cake to share with you… and maybe a present or two. Our little prince will be 3 soon, and he’s over the moon. You’re invited to the party. Join us to make him happy! I’m only just getting started in life. You can be a part of it. Come to my 3rd birthday party! I’m turning 3! So please come to my party. To make it filled with fun and glee! we’re expecting you to join our party. Please come and let’s celebrate. Let’s celebrate our baby’s 3rd birthday. We prepared some treats for the day. Let’s have fun and dance all the way. 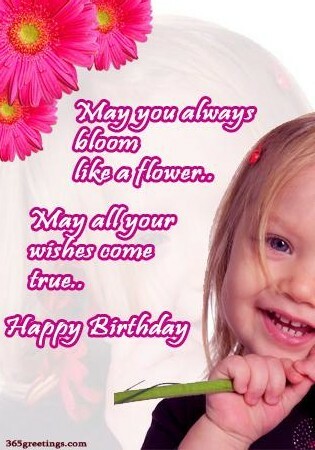 You are officially invited to my prince’s/princess’ birthday party. Your presence will surely be missed. So please come and join the fun. Now I’m blowing my third one too! Take note on that day. 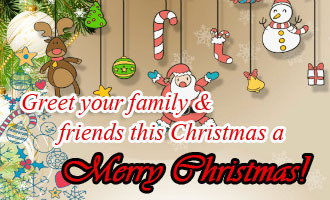 So come and join me in this time of cheer. Come to my party and let’s have fun! It’s my 3rd birthday by the way! 3rd birthday of our son, _____. See me blow my cake! Please come on that date! ______ is turning three! What a splash! Celebrate with us as _______turns three! We’re giving it a momentous bash. With cakes, balloons and games. Come and party with me. It’ll be full of fun you see. In a party as cool as ever. So please come to my 3rd birthday party. We’ll laugh, sing and dance with them. Join us in this great time. We’d be glad to see you there. Hope you can come and draw a smile for her. I want to celebrate this day with you. And see me blow my cake too.